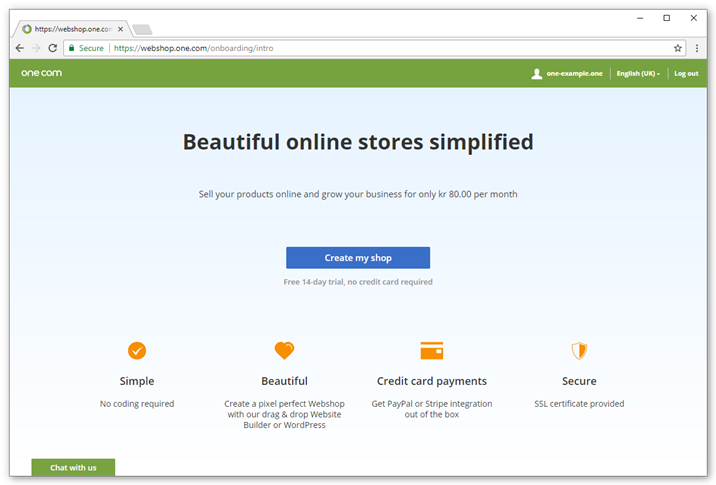 In this guide, we help you to quickly get started with your Online Shop. Step 5 - Go live! To get started, your shop needs to be created. We have made this as easy as possible, by setting up most things automatically. Of course, you can always change this later. Log in to the One.com control panel and click Online Shop. Click Create my shop to begin setup. When your shop is ready, click Enter your shop. A shop isn't complete, without products to sell. Start by adding your first product. Enter a title and description for your product. You can use styling to make your description more attractive. Upload one or more images of your product. You can upload a maximum of 6 images. Set the price for your product. Click Save product at the top of the page. Check out the guides below, for more detailed information about product options. Which options and categories can I add for products? What is the benefit of adding a meta description? You need to set up at least one payment option, so that your customers can pay on checkout. It's easiest to start with manual payment, because it does not require additional setup. 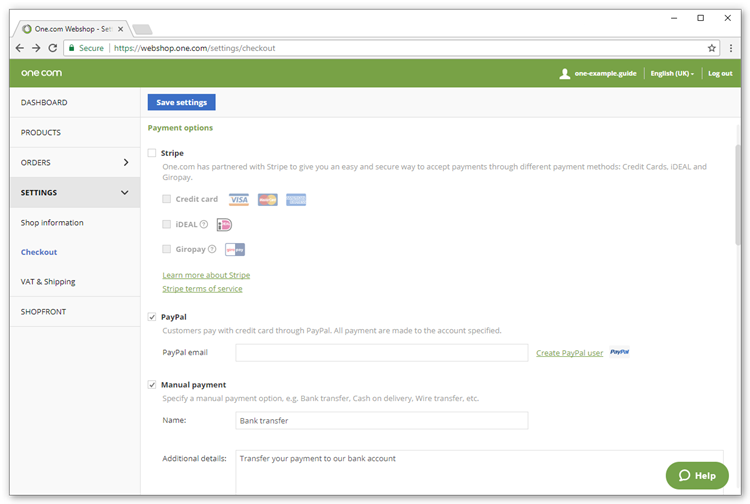 Later, you can set up PayPal or Stripe for credit card, iDeal and Giropay payments. Go to Settings and then Checkout. Select the box for Manual payment and enter a name for the payment option, for example "Bank transfer". For Payment instructions, enter the information your customer needs to pay, like your bank details. Click Save settings at the top of the screen to save your payment option. Check out the guides below for more information about payment options. Can I add terms and conditions to my online shop? When your shop was created, a default shipping option was added; free shipping within your country of residence. To begin with, you can simply edit this option to match your own preferences. Later you can add more shipping options. Go to Settings and then VAT & Shipping. Click Edit, to edit the default shipping option. 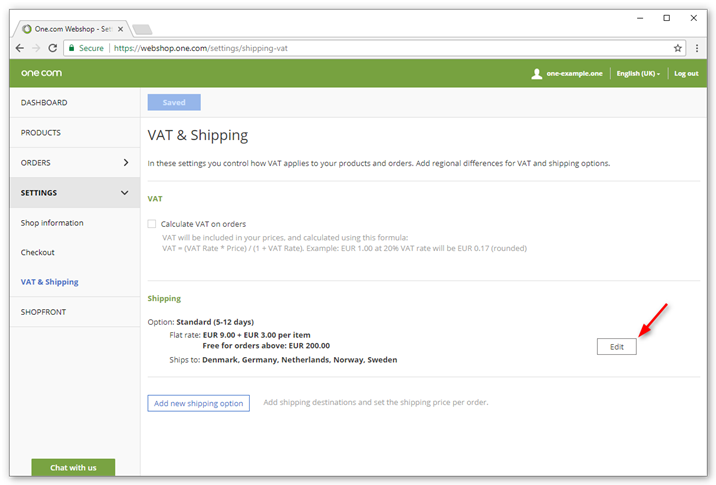 Edit the display name, shipping fees and select the countries you want to ship to. How can I add VAT/Tax? 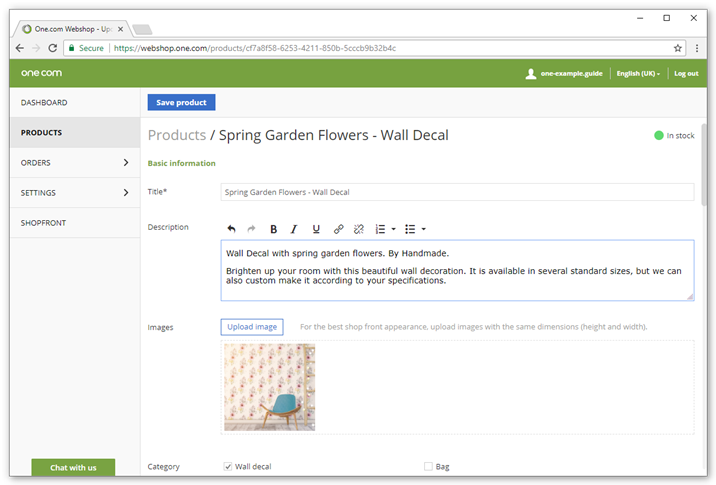 Finally, you need to publish your shop in your website, so that your customers can visit it. Go to Shopfront in your online shop administration. 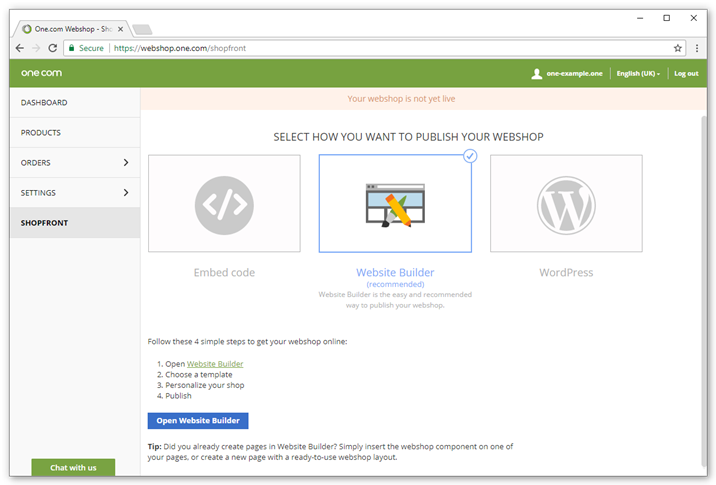 Select how you want to publish your shop and follow the instructions on your screen. Want more detailed instructions on the publishing options? Check out the guides below. How do I insert the Online Shopin my Website Builder site? How do I activate my web hosting subscription?